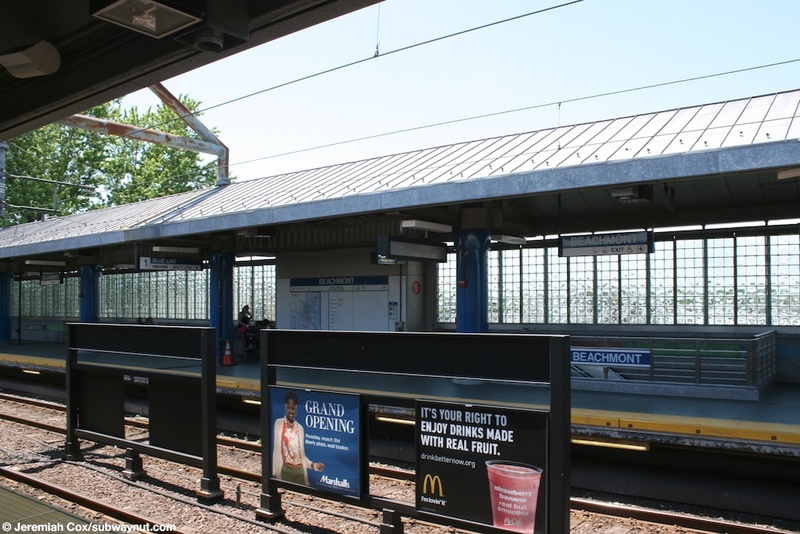 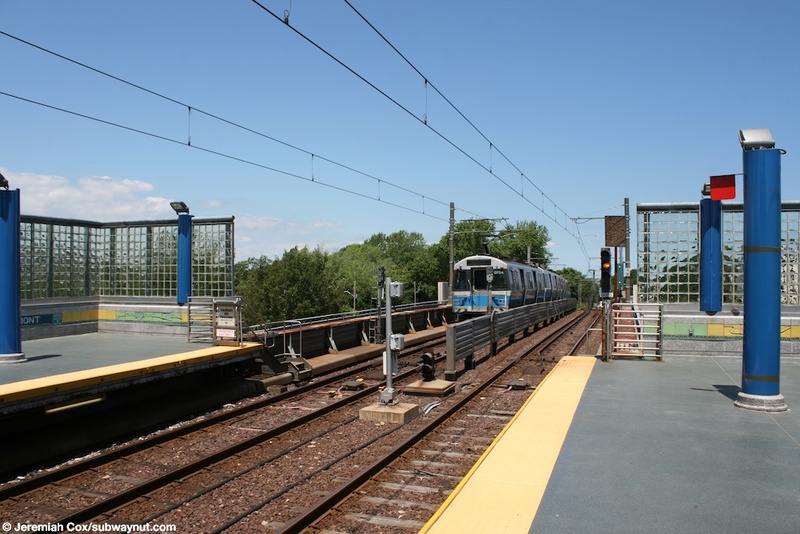 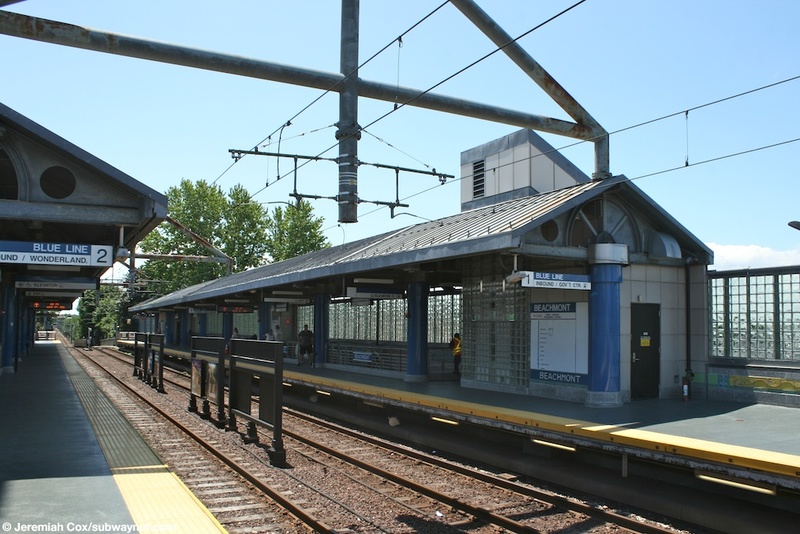 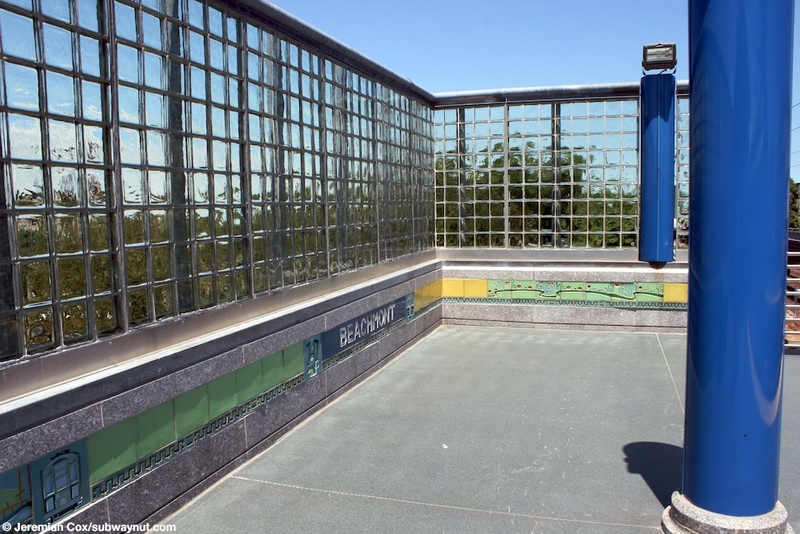 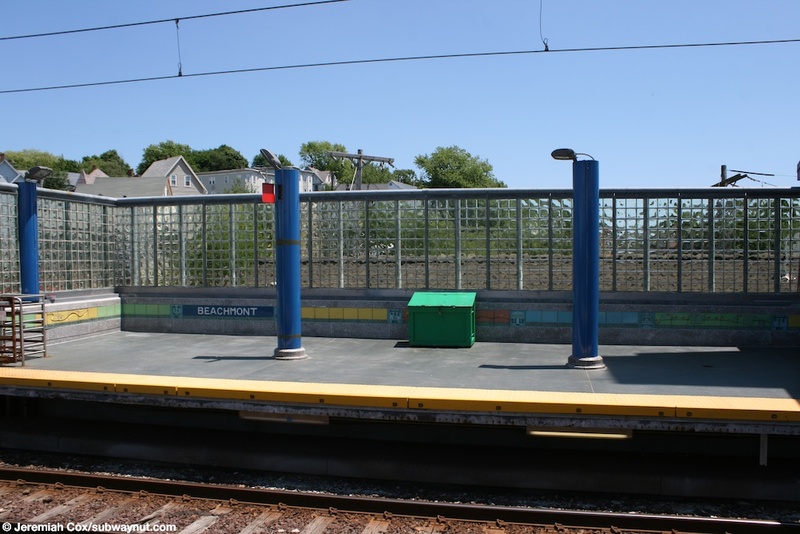 Beachmont is an elevated Blue line station with two side platforms. 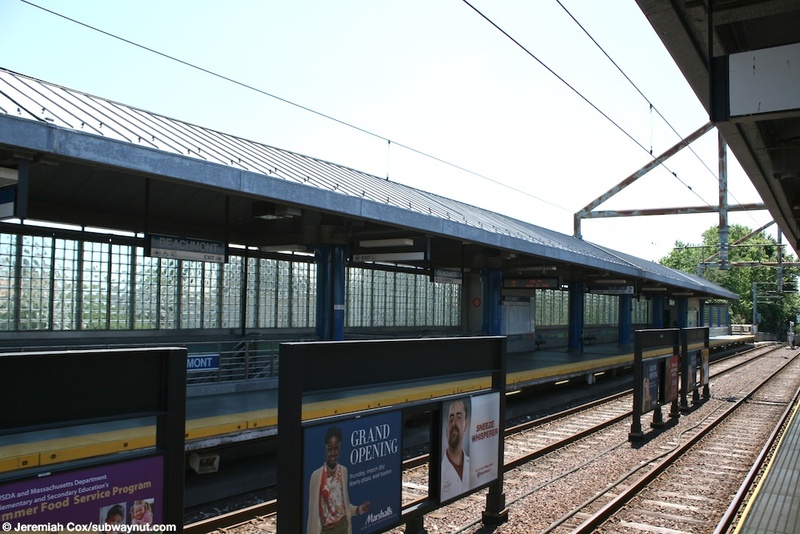 The platforms are canopied for most of their length and walled for their entire lengths with little opaque squares along both platforms allowing light in but not views of the surrounding area. 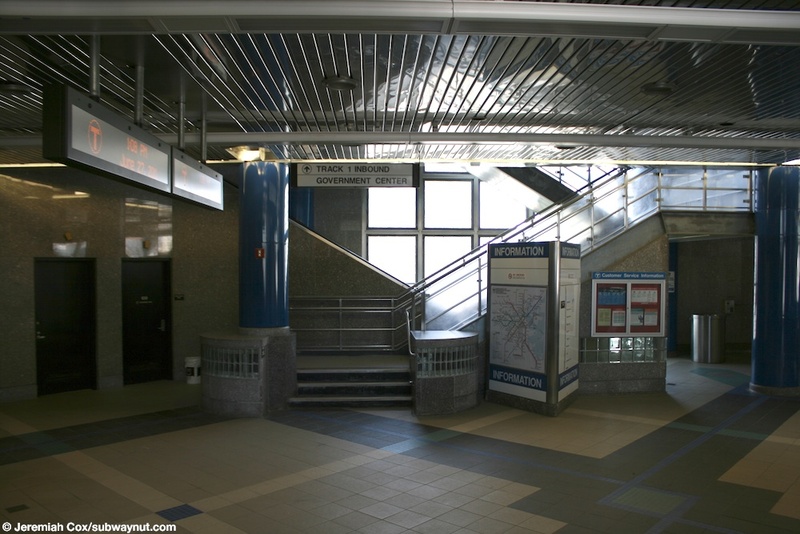 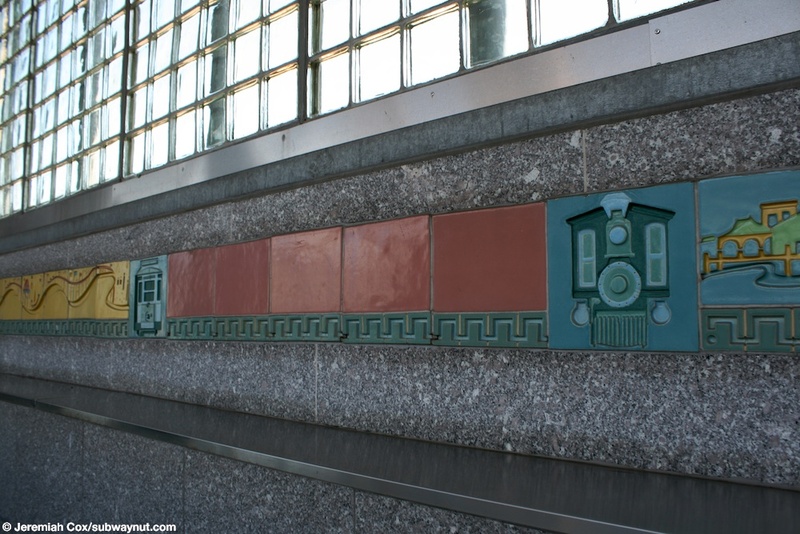 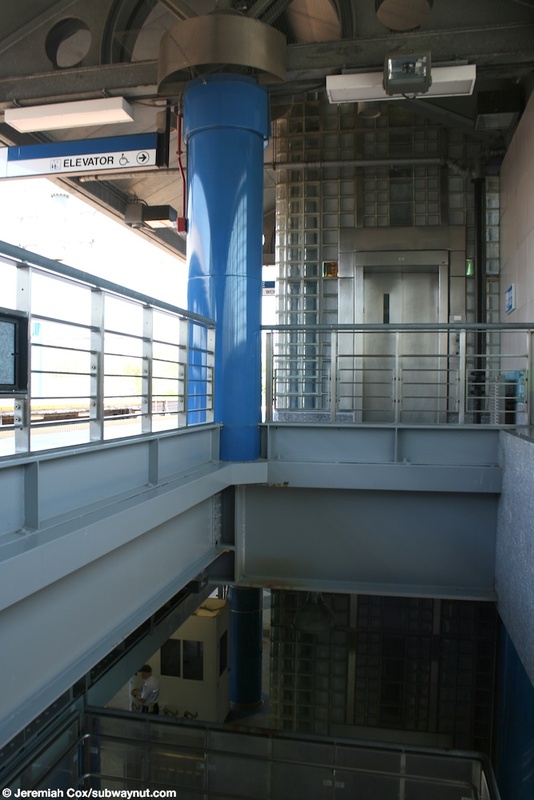 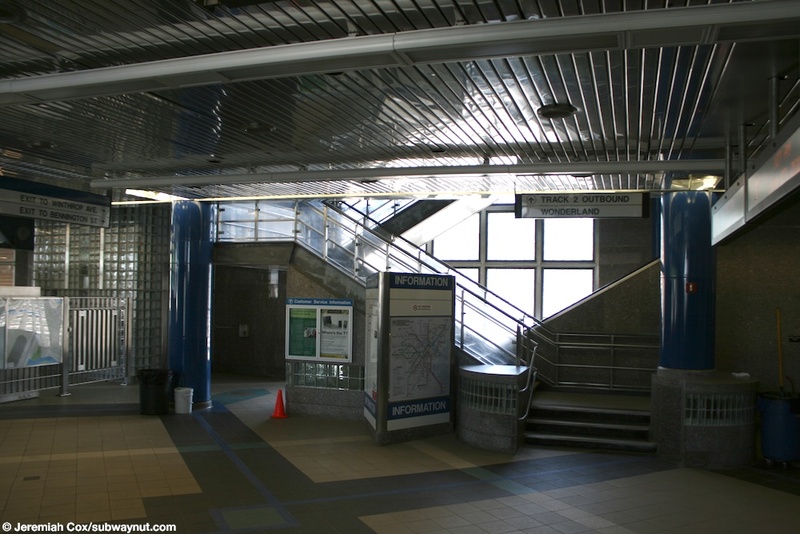 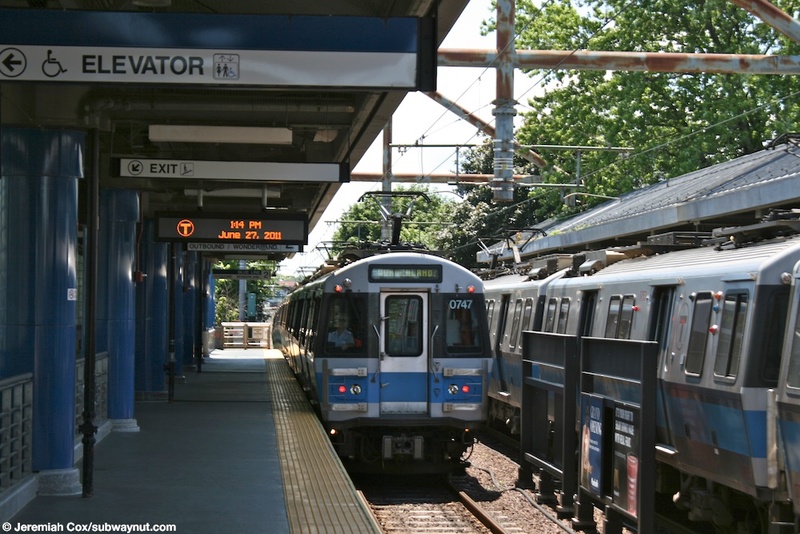 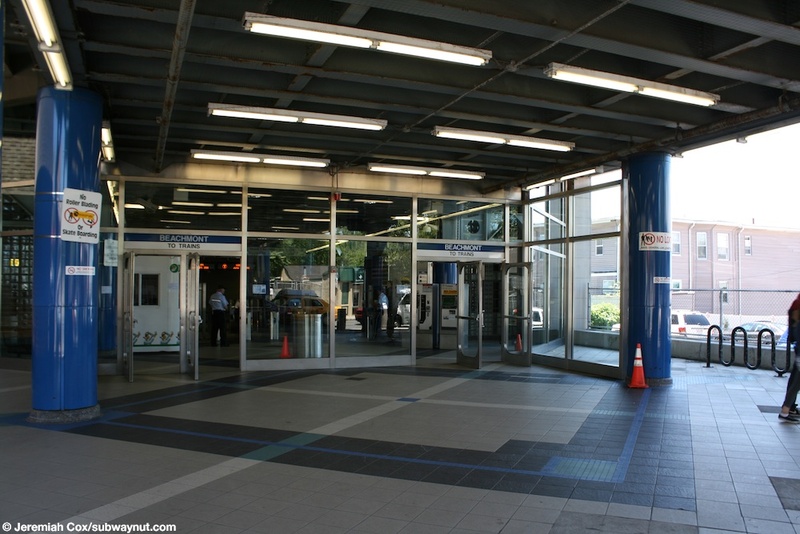 The station entrance is located beneath the tracks set back from the southern sidewalk of Winthrop Avenue, where faregates lead up to stairs, an elevator and escalator to each platform. 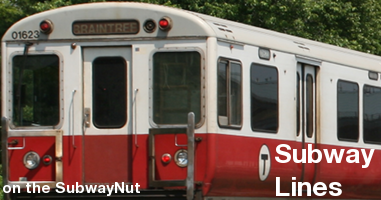 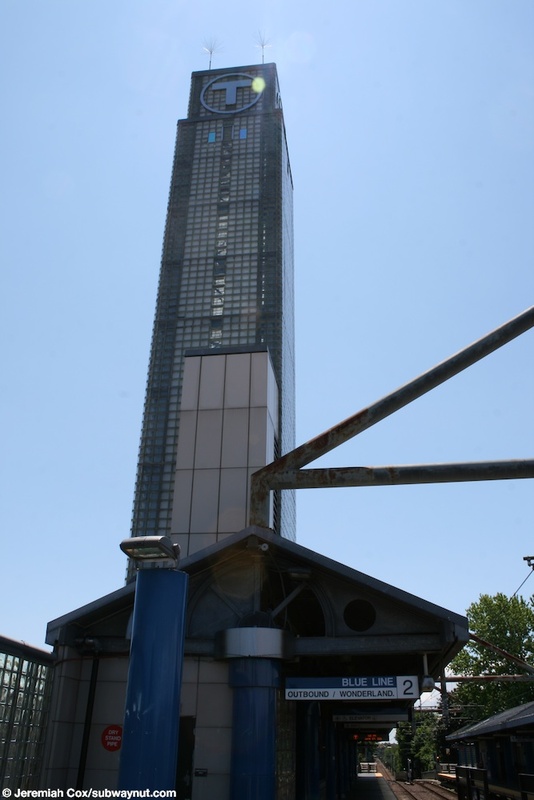 There is also a tower with obaque glass tube walls and the T logo on top to advertise the station. 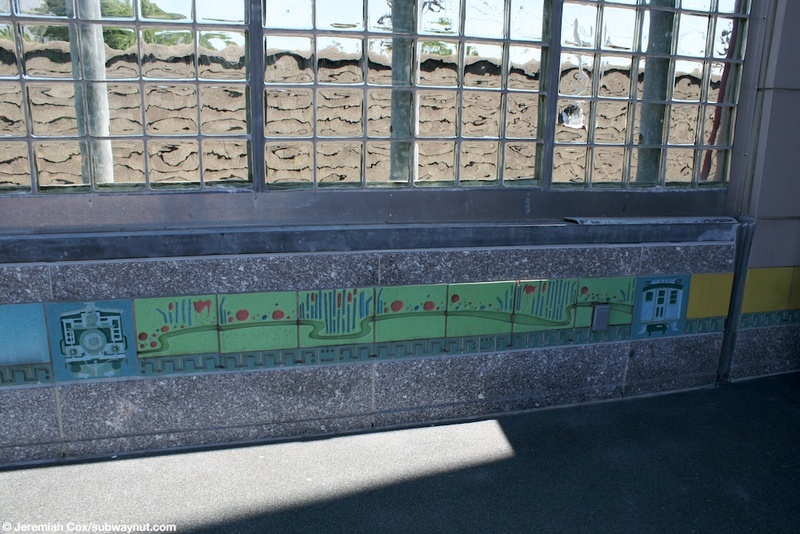 Towards the bottom of the platforms there is also a line of decorative cut outs of images with little logos of trains through the ages. 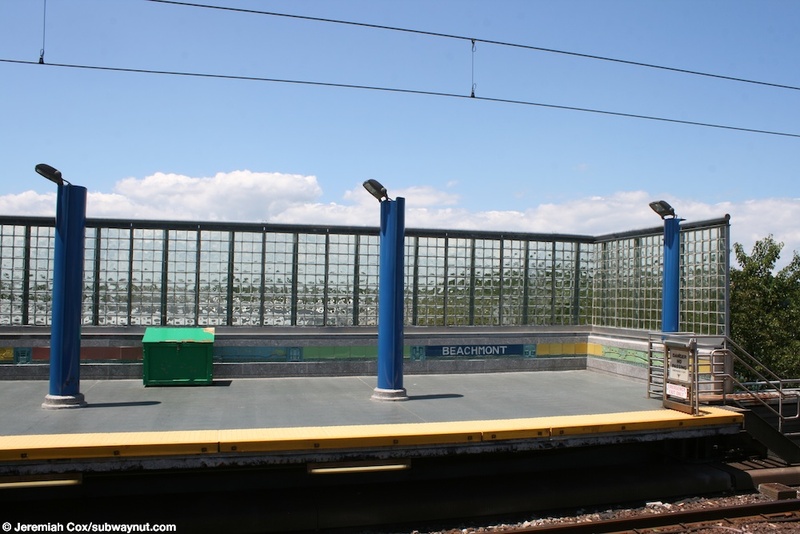 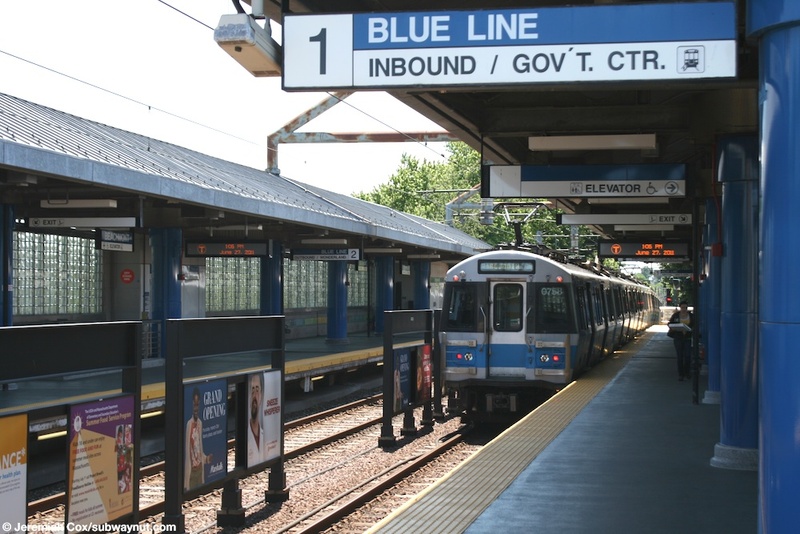 The platforms have blue columns that hold up the canopies and become light posts at the platform ends.